by clicking on the Music tab above. 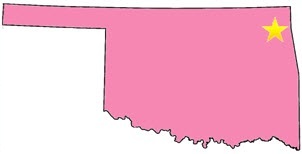 McMeow is centrally located in the middle of the U.S.A. in Langley, Oklahoma. There is NO mileage charge within a 100 mile radius of Zip Code 74350. But ... McMeow will travel ANYWHERE if her travel expenses are paid! McMeow likes to travel, see new places, and meet new people!